“Furthermore, the precious time of thanksgiving after communion should not be neglected: besides the singing of an appropriate hymn, it can also be most helpful to remain recollected in silence” (#50). Further on in Sacramentum Caritatis, Pope Benedict XVI urges Catholics to “rediscover the Eucharistic form which their lives are meant to have, thus “making our lives a constant self-offering to God….” (#72). The practice of making a proper and meaningful thanksgiving after receiving the Holy Eucharist is one way to rediscover our Eucharistic form. Spending a few minutes after Mass in thanksgiving (in addition to our thanksgiving directly after receiving Holy Communion) is one way to accomplish this goal. “In Communion we receive a gift far superior to the miraculous cure of a physical disease; we receive the Author of salvation and an increase of the life of grace, which is the seed of glory, or eternal life begun. We receive an increase of charity, the highest of the virtues, which vivifies, animates all the others, and is the very principle of merit. Christ often gave thanks to His Father for all His benefits, in particular for that of the redemptive Incarnation; with all His soul He thanked His Father for having revealed its mystery to little ones. On the cross He thanked Him while uttering His Consummatum est. In the Sacrifice of the Mass, of which He is the principal Priest, He does not cease to thank Him. Thanksgiving is one of the four ends of the sacrifice, always united to adoration, petition, and reparation. Even after the end of the world, when the last Mass has been said and when there will no longer be any sacrifice, properly so called, but only its consummation, when supplication and reparation have ceased, the worship of adoration and thanksgiving will endure forever, expressed in the Sanctus, which will be the song of the elect for all eternity. These words of Father Garrigou-LaGrange may seem a bit harsh, but I am hoping that, as they have for me, they will encourage you to spend a few minutes after Mass with our Lord thanking Him for having blessed you with the greatest of all possible gifts. Naturally, if you have small children, the duty of the present moment (as Mass ends) is to tend to their needs. However, I have seen families kneel together after Mass for a few minutes of thanksgiving. Moreover, you can attempt to stay recollected in a mode of thanksgiving even while leaving Mass and attending to external circumstances. 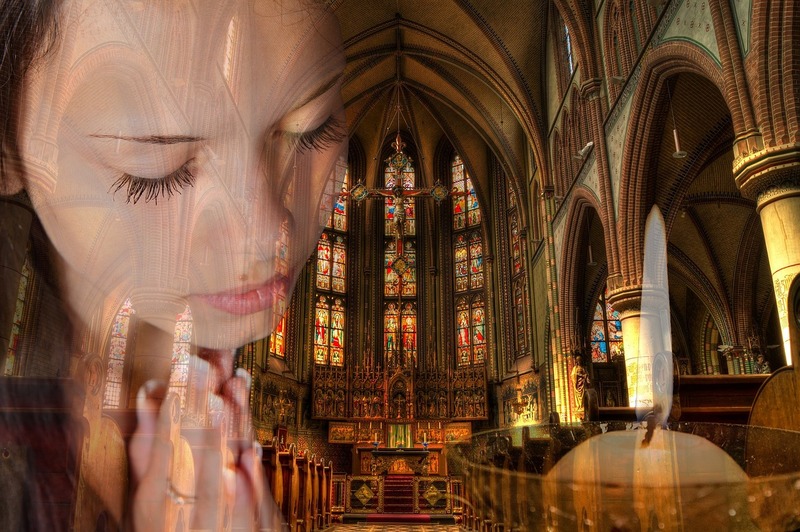 Christian culture is rapidly disintegrating; it will be a special challenge for our children and grandchildren to maintain their Catholic faith without a deep appreciation for the Holy Eucharist. The Holy Eucharist is our foretaste of Eternal Life. Ref. The two quotes at the top of this note are from the Wikipedia article on “Thanksgiving after Communion,” which is quite beneficial. The great Father Lallemant adds in his The Spiritual Doctrine a crucial consideration, saying: do not “shorten the time allotted to the thanksgiving, which, well made, may repair much that is defective in our penances” (p.88).